When I was young, I used to practice the piano in the evenings, and they would just run down my music notes and try and eat every single mosquito alive. They used to scare the living begeesus out of me. Anyway, one would not have guessed that juxtapose that lizard ordeal to the future, and you would find me, the scaredy-cat, rubbing shoulders with a komodo dragon. I mean, these guys are like the Godzilla of lizards. Freaking deadly too. Well, midway into my trip with Tourism Indonesia.. and all you guys who follow my IG would be aware of #inatopbucketlist as well as #wonderfulindonesia, we landed ourselves on Komodo Island. Also known as Nusa Tenggara or Southeastern Islands, these consist of a group of islands north of Australia that form the volcanic arc (Sunda Arc) along the Sunda Trench in the Java Sea. The main lesser Sunda Islands are Bali, Lombok, Sumbawa, Flores, Sumba, Timor, Alor archipelago, Barat Daya Islands, and Tanimbar Islands. They make for an amazing canvas of brown jagged rocks and hills juxtaposed against a deep blue sea. The sight you see by speedboat is just breathtaking. Komodo National Park is located in the center of the Indonesian archipelago, between the islands of Sumbawa and Flores. 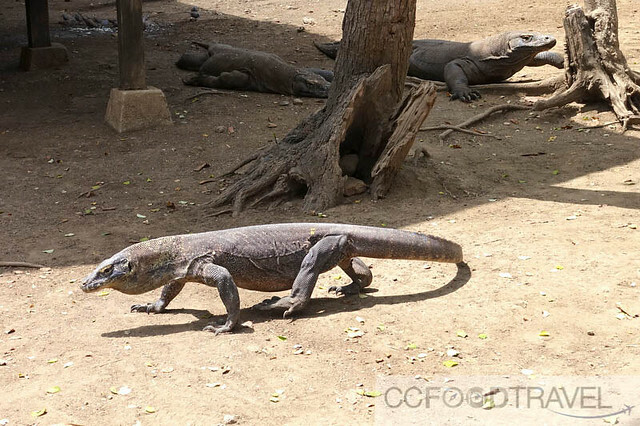 Initially, the Park was to conserve the unique Komodo dragon (Varanus komodoensis) and its habitat. Today, the park has expanded to protecting its entire biodiversity, both terrestrial and marine. In 1986, the Park was declared a UNESCO site. Komodo, Rinca, and Padar Island are the main islands of Komodo National Park. Famous for some of the world’s best dive sites and their popular inhabitant, the Komodo dragon, Komodo Island is the most visited place in Flores. A good option is for travelers to visit the less busy Rinca, a smaller island where the Komodo dragons can also be found. Despite the high traffic of travelers, the islands are sprawling.. and you can still find some quiet and remote areas, particularly on Rinca and Padar. Many of these islands are pristine, and offer beautiful beaches to go snorkeling and are good options for a day out trekking too. 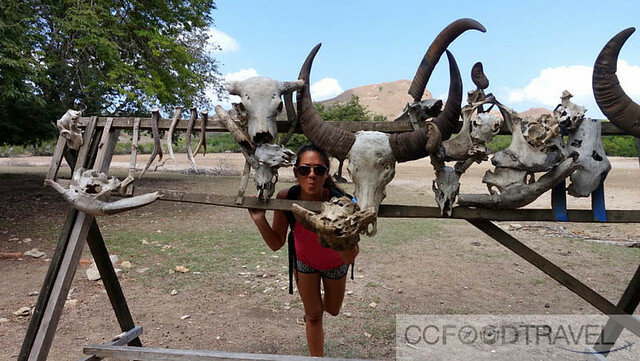 Anyway, if you are keen to visit Komodo National Park , here are 5 Things you Can do! 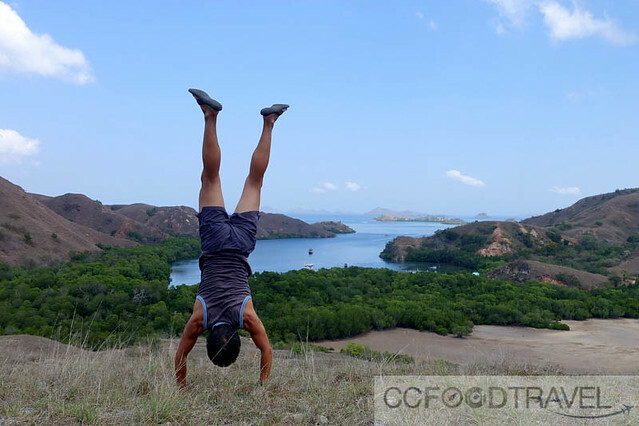 Komodo Island offers different trekking routes, some require a higher level of fitness so choose the difficulty level that best suits you. All of them start from the ticket office at Loh Liang. 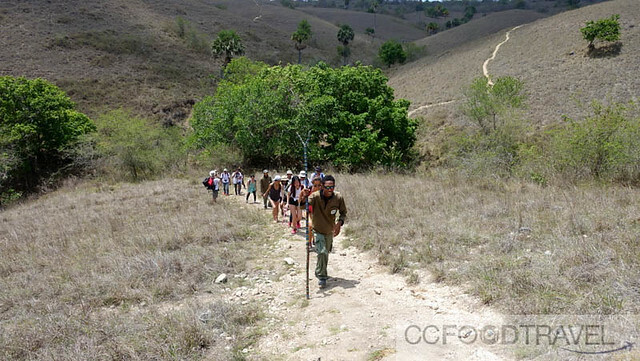 A short trek takes around one hour and goes along flat trails within the dry forest. This option is suitable for families with small children, and folks who have a lower fitness level. The medium trek takes about 1 1/2 hours. Along this trek you might spot wild animals if they happen to be drinking at the waterhole as you hike by. Of course keep your eyes open for Komodo dragons too – the guides/rangers are there to keep you safe – with a wooden forked pole (made from hardwood) aimed at the Komodo Dragon’s head, just to stun them should they attack. This is usually enough to scare them off. 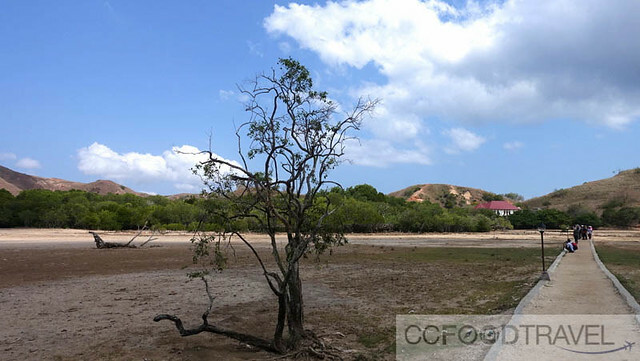 You will climb Sulphurea Hill and Frigate Hill, where a magnificent view across the islands, bays and beaches awaits. The longer trek takes about 2 1/2 hours and leads you up another hill. If you are up to a real workout, you may book a 4 – 8 hour hike in advance which will lead you up Mount Ara or to the island’s northern shore. Treks on Rinca Island start from the ticket office at Loh Buaya. You also have the option to choose between three trails. The shortest trek takes 30 minutes. It is an easy, shaded trek that ascending to a small hill with a view over the bay. The one-hour medium trek winds between dragon nests and out into the sunshine across an exposed savannah. The third trek is a two-hour trek past a permanent waterhole and across steep, exposed slopes that offer breathtaking views. 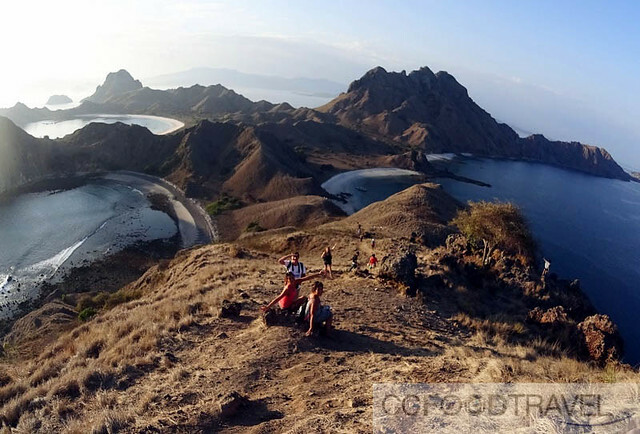 Panoramic Loh Buaya and Komodo archipelago below, as seen from Rinca Island..
Our ranger-guide Paul (the entire Flores population has over 60% Catholics) mentioned rangers work for 10 days, before returning to their homes, in his case, Flores. They also do shifts, such as from 10am – 3pm, before the next shift takes over. I guess this is to make sure they are well rested and that their reflexes are good, should they chance upon a frisky dragon. In one day, they can take approximately 3 – 4 different groups along the hike. OK the first time I heard about the Pink Beach, I thought that it was just a gimmick. 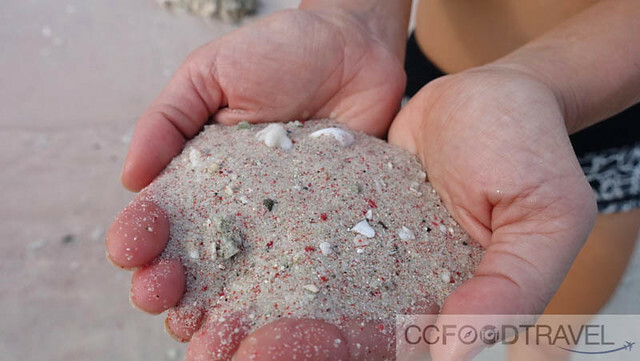 Then I realised that they were real and the pink color actually comes from red coral fragments diluted by the brown sand. The water and beach are pristine with good visibility so this is a great place to spend some time by just laying back or enjoying the underwater world without having to scuba dive. 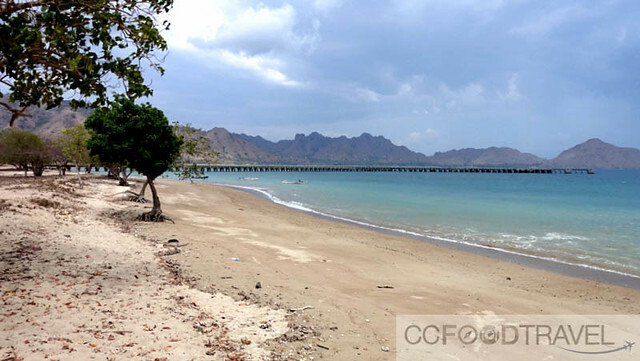 The beaches are a great place to have a picnic and unwind after a huge hike to see the Komodo Dragons. Not to worry, no lizards basking or hunting on the beach. Pink Beach, or Pantai Merah (30 minutes by speed boat from Komodo Island) is one of seven pink beaches on the planet .. of course we had to see it! Aside from Pink Beach itself, a few small segments along Komodo’s eastern bay also have a pinkish tint. These beaches are truly pristine as is the water – a great spot for snorkeling and cooling off from the heat. The underwater beauty of Komodo National Park is not a secret and should be on every diver’s bucket list. It costs approximately USD120 for land based diving and Live on Board is roughly USD800 for 3 days diving. 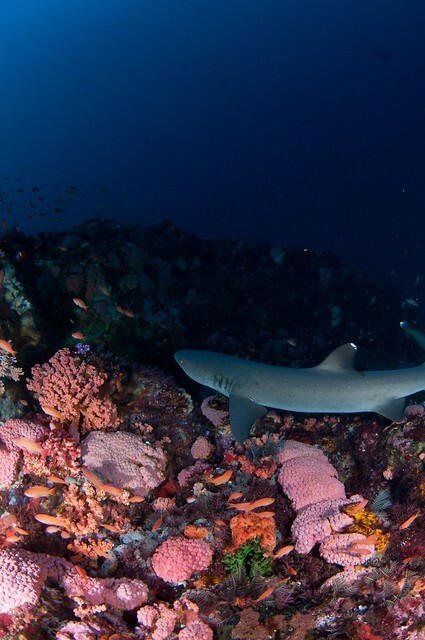 The national park reserve offers the live aboard diver a diversity that’s not topped by many other dive sites. Geologically, Komodo Island and Rinca are part of Flores, separated from Sumbawa to the west by the Sape Strait. In the middle of the strait, the bottom drops to almost 300 metres. 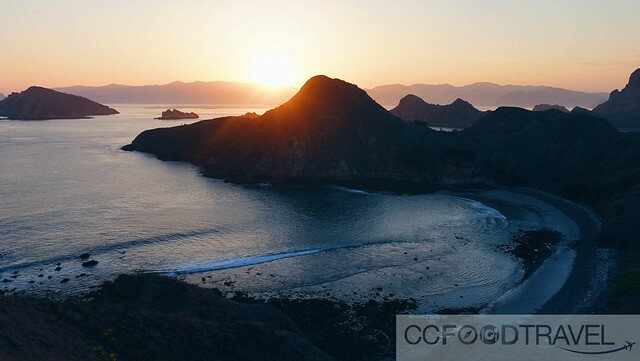 The many islands and relatively shallow seas between Flores and Komodo’s west coast mean very fast currents at tidal changes, especially when the higher tidal waters of the Pacific Ocean in the north flow through into the Indian Ocean to the south. 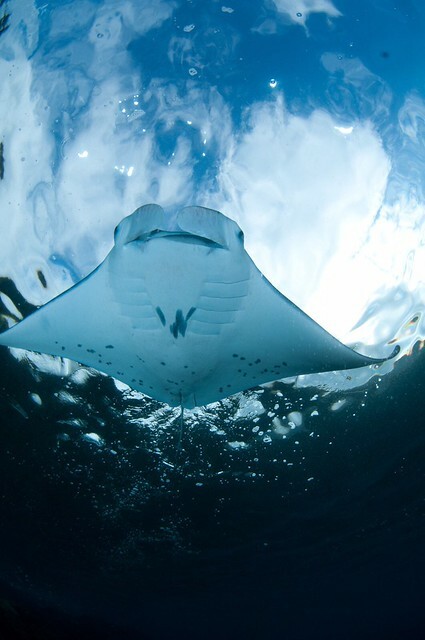 Plankton rich waters keep the fishes well-fed, which makes for perfect conditions for some spectacular scuba diving. 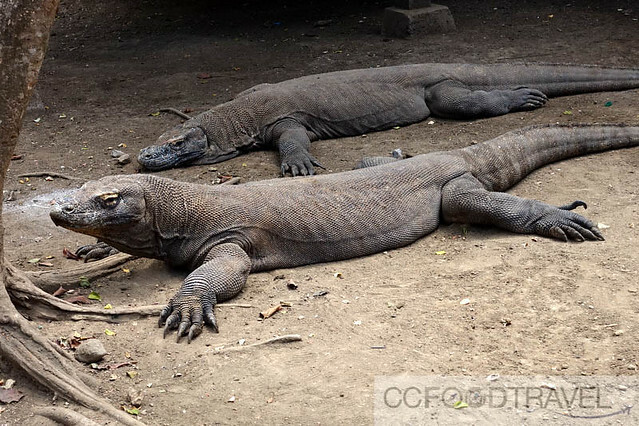 The giant lizards have thrived in the harsh climate of Indonesia’s Lesser Sunda Islands for millions of years. Having been geographically separated with the rest of the human world and having sufficient food supply, meant it was able to survive with very little change from its prehistoric descendants. 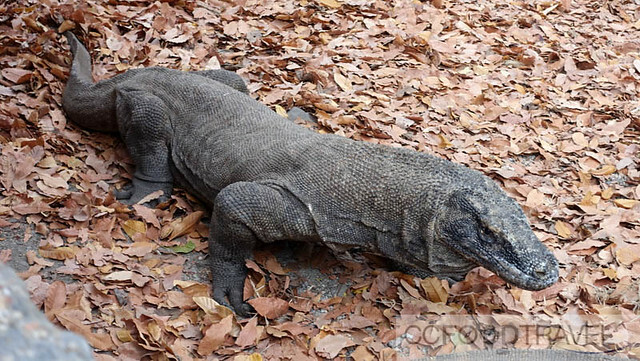 Reaching 10 feet (3 meters) in length and more than 300 pounds (136 kilograms), Komodo dragons are, for want of a better description, super sized lizards. Monitor lizards. They have long, flat heads with rounded snouts, scaly skin, bowed legs, and huge, muscular tails. Powerful. Freaking scary. As the dominant predators on the handful of islands they inhabit, they will eat almost anything, including carrion, deer, pigs, smaller dragons, large water buffalo and even *gulp* humans. 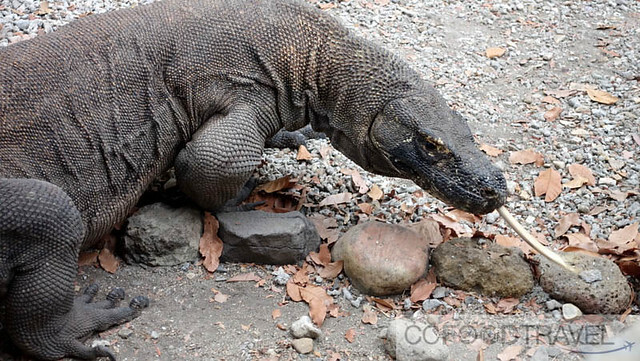 When hunting, Komodo dragons rely on camouflage and patience, lying in wait for passing prey. When a victim ambles by, the dragon springs, using its powerful legs, sharp claws and serrated, shark-like teeth to eviscerate its prey. All it takes, is one bite. Dragon saliva contains over 50 strains of bacteria, and within 24 hours, the animal that’s bitten usually dies of blood poisoning. Dragons calmly follow their prey for miles as the bacteria takes effect, using their keen sense of smell to hone in on the corpse. A dragon can eat a whopping 80 percent of its body weight in a single feeding. My goodness, if I let the sluggish movements of the beast fool me, then I might be the bigger fool. Once they get going, on their four legs, you’d best hide behind the ranger with the wooden forked pole ! Rinca Island.. looked like desolate flat land.. but if you look carefully, the dragons would suddenly unfold before your very eyes. 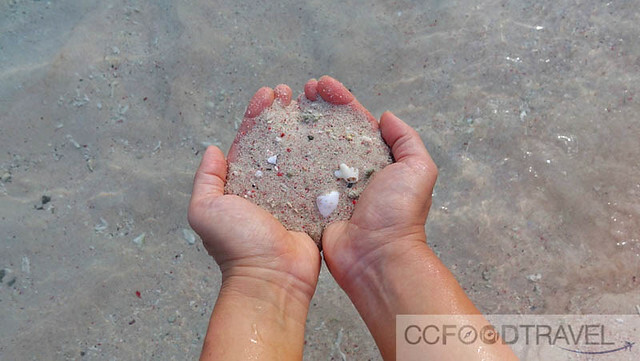 They seem to be camouflaged – the same color as sand.. The first sighting of male monitor lizards made my heart pound! I didn’t dare go any closer.. these guys where chilling by the kitchen – I guess they know where the food is. 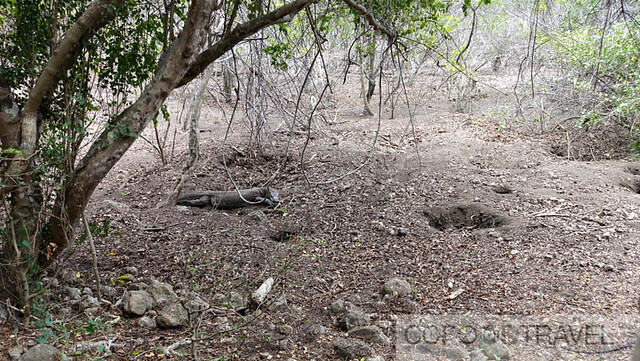 We hiked past the female nest – the holes in the ground are were the eggs are buried. Gestation period is 9 months – just like in humans! Can you spot the female? 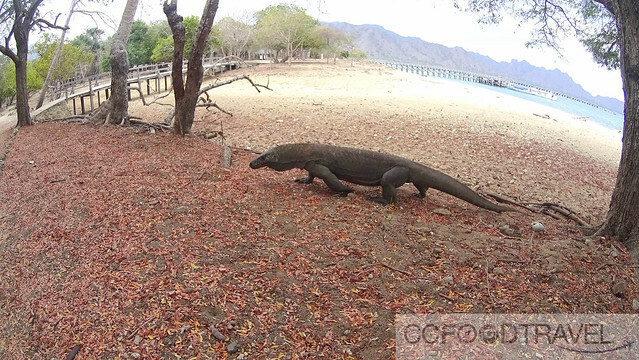 There is a stable total population of around 2000 Komodo dragons on all the islands of Komodo, Gila Motang, Rinca, and Flores (the number varies depending on whom you talk to, but it is definitely a waning number). However, a dearth of egg-laying females, poaching, human encroachment, and natural disasters has driven the species to endangered status. 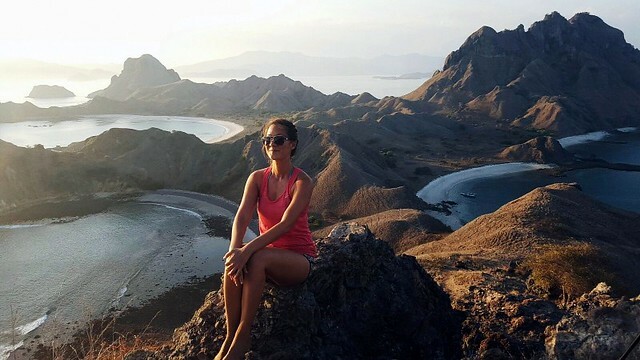 Located immediately west of Flores island in East Nusatenggara, Komodo Island is one of three larger and many islets that make up the Komodo National Park, and is particularly well-known as the natural habitat of the Komodo dragon. We were told the dragons living here are larger than on the other islands. Komodo Island is only 30 minutes speed boat ride from Rinca Island. If I thought that Rinca was breathtaking, the beauty of Komodo sent shivers down my spine. Talk about, a land where beauty and the beast collide. Komodo Island paradise! Hard to imagine wild reptiles roam free here. Still the rangers keep everyone safe from harm. Now this was a HUGE son of a gun! Look at the size of it.. From where I stood, it was epic and I felt beads of sweat gather on my forehead..
We had our catered lunch on an elevated sheltered platform. There were dragons underneath and circulating the platform. Rangers were vigilant with their wooden forked poles, pushing away the lizards from climbing the stairs while we dined. For added excitement, we needed to dash to the toilets behind our dining area. Why didn’t they just build a toilet where we dined? My mom told me never to trust a guy with a forked tongue. And for those gung-ho enough (like we were) another 45 minutes along by speed boat is Padar Island from Komodo Island. This has got to be the most beautiful vantage point for the Island and Bay landscape. But as with everything worthwhile, it comes at a price. That’s right, a steep hike on sandy gravel terrain will bring you up to the spot that is like the “Eye of God” looking down on his flawless creation below. Beware the hike down is not for the faint hearted… but every slip and near death experience will be worth it! 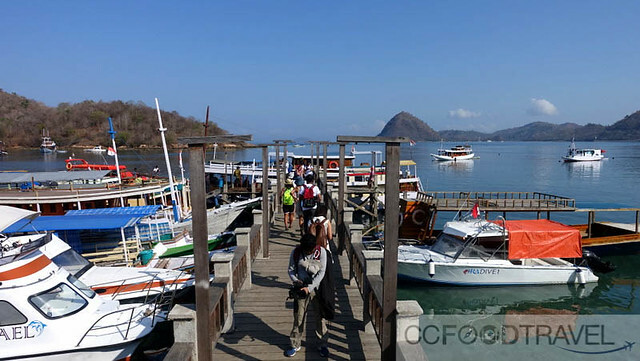 Any tour to Komodo will start and finish in Labuan Bajo. This is the main transportation hub for the whole province. This is where the airport, ferries, buses, local boat service and multiple private car hire services converge. The be all and end all, in getting to Komodo Island. 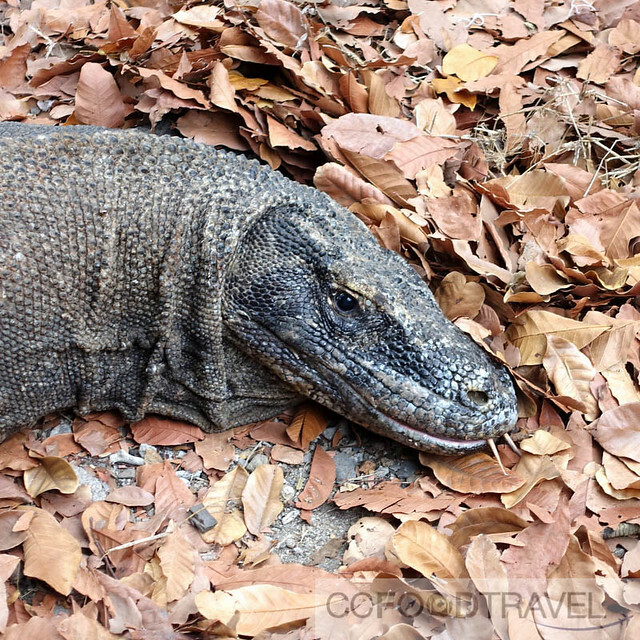 Here are some ways to get to Komodo National Park. With 5-7 flights per day to Denpasar and many more international flights, it is definitely a huge hub for the influx of travelers seeking glimpse into the land of dragons. There are daily ferries to Sape on Sumbawa and weekly ferry service to Sulawesi aboard Pelni. Due to time and accessibility, nearly all visitors fly in and out via Labuan Bajo Airport, and thus, so did we. 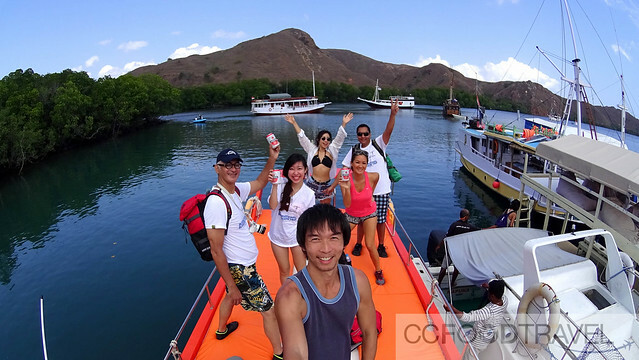 From Labuan Bajo to Komodo, we chartered a local speed boat which took approximately 1 hour to Rinca Island, then another 30 minutes to Komodo. 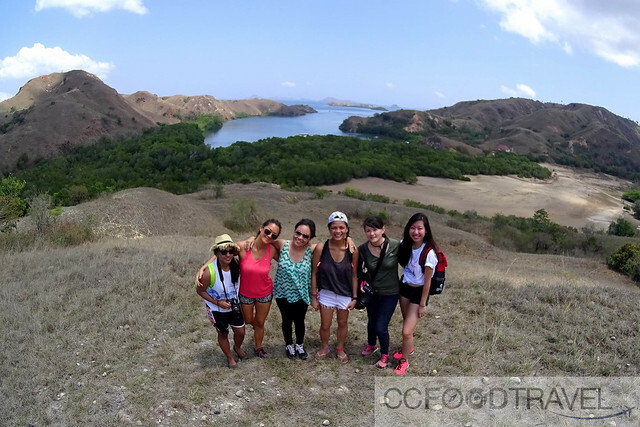 While we were out that day, we thought we might as well make a day of it, and stopped by both Pink Beach as well as Padar Island, before we headed home, at dusk. 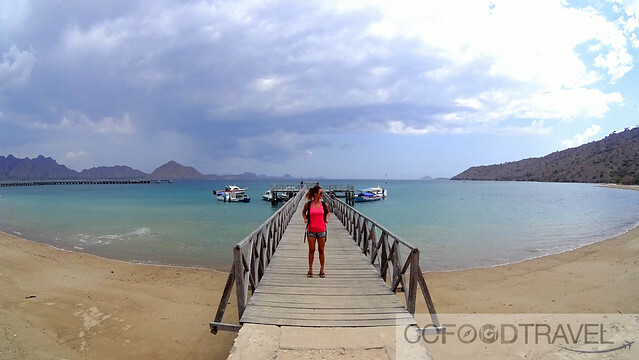 It took us around 1.5 hours to get back to Labuan Bajo from Padar Island. We actually returned home to Labuan Bajo jetty in darkness, as it was already 8pm by the time we reached back to our starting point. Why waste an opportunity to tan while on the way to the islands? So imagine if you will – we started the day at 7am, and we got home just before 8pm – I soon realised that the islands were sprawling, and we were only scratching the surface of the magnificence that makes up the Indonesian archipelago or Indonesia’s Lesser Sunda Islands. Till now, it just boggles my mind that such beauty is so near to Malaysia, but I never ventured out sooner. Shame on me. 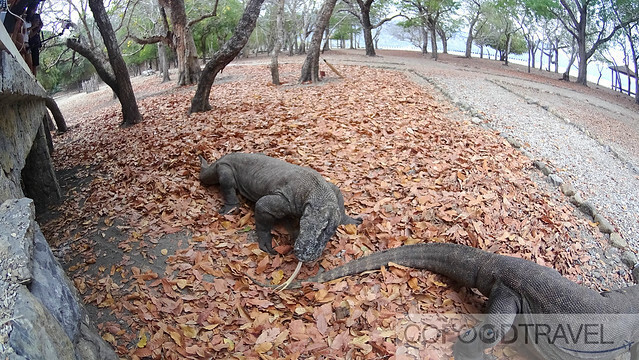 When visiting Komodo, you will need to pay national park entrance fees. Typically these are paid at the office in Labuan Bajo, or upon arrival at the parks offices inside the park (Rinca and Komodo). The entrance tickets are valid for three days. Now.. We have some GREAT NEWS. Do you want to go to Komodo to boogie with them dragons..? Here’s the exciting #inatopbucketlist CONTEST to get you on your way.. . Submit your best video (30 seconds – 1 minute on YouTube, that covers an introduction about yourself and why you should win the trip to Indonesia).. The 10 best videos will win a trip to… KOMODO ISLAND! T&C Apply.. please read conditions and mechanics of the contest carefully on Wonderful Indonesia website here.. Good luck and hope you will be part of the chosen few…! Previous articlePudu Wet Market.. Siew Yoke, Charsiew Haven! Eeeekkkkk!!!! Guess it’s not a good time to go anywhere in Indonesia till the haze clears. API over 2,000 in some parts. Shocking!!! But indonesia, East Java was BLUE Skies.. at least on that part of the country anyway. Haze is mainly from Sumatra and Kalimantan. wantt!!! number 3 & 4 would be my kinda things to do, definitely! YEss… go take part in the contest KY!! Both you and Haze! Super thorough post, and so informative. I hate blogs that just put photos and don’t bother to explain anything with big gaps in info. I can read tripadvisor for that. Anyway, thanks for sharing first hand, your experience! Will definitely put KOMODO in our bucket list. Enough with old boring locations already. LOL Thank you Chin Ru! Glad you liked it.. and hope you can win the contest so you can go asap! Please submit the YouTube video.. it’s so easy.. Fantastic and very comprehensive, loved all the imagery and great tips and logistics to visiting this amazing place. Thanks Noel! We really should go back.. the whole lot of us.. to Papua, one day! Good to see that there is more to do here than just see the Komodos (although they are impressive by themselves) … excellent guide! Please tell me the 2 dragons u selfie with not the real one >_< You are too close with them, OMG!!! Love how you write! 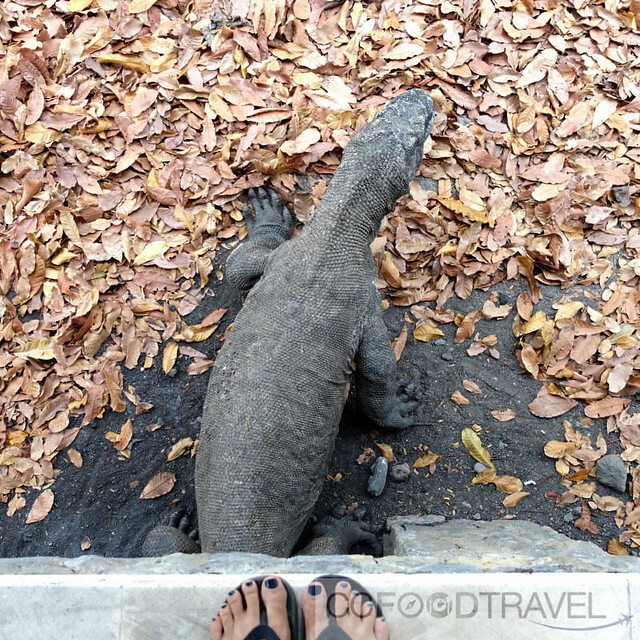 This blogpost makes me miss Komodo and all of you! ?